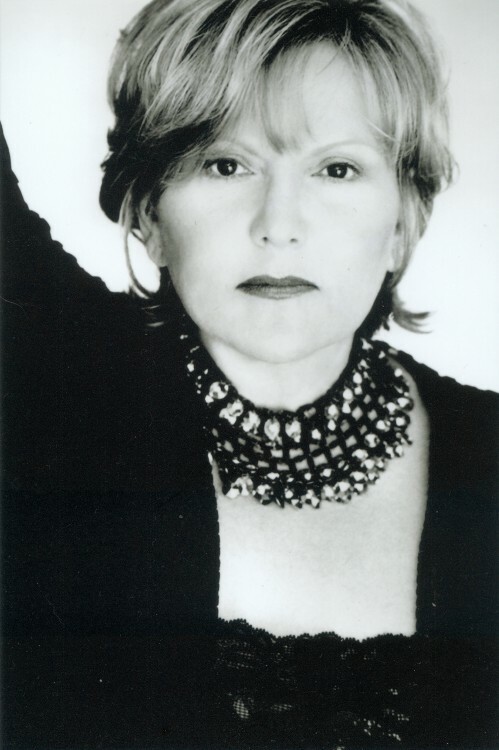 Screen, stage and television actress Brenda Vaccaro (b. 1939), a Golden Globe and Emmy Award-winner, as well as a Tony Award and Academy Award nominee, was an instrumental and leading figure who shaped her generation of leading ladies when it came to prominence in the late 1960s and early 1970s, and which includes Katharine Ross, Deborah Raffin, Dyan Cannon, Sally Kellerman, Karen Black, Goldie Hawn, Leigh Taylor-Young, Cybill Shepherd, Jennifer O’Neill, Sandy Dennis and Valerie Perrine. After appearing in episodes of several TV series during the 1960s, her career was launched by John Schlesinger’s screen classic “Midnight Cowboy” (1969). Since then, she became one of Hollywood’s busiest actresses and, looking back at her screen debut in an episode of the long-running TV series “Search for Tomorrow” in 1964 – to this day more than five decades ago – Ms. Vaccaro is still going strong: her performances don’t age, they stay fresh, impressive and unforgettable, and they indicate what a talented actress she is in each and every role she played over the years. I met her in 2009 in Malibu, California, when she was – regrettably – slightly less in demand, although she had just finished “You Don’t Know Jack” (2010), playing Al Pacino’s sister in yet another rewarding role. Now, however, with several projects currently in pre and post-production, she’s back where she belongs. Right up there, in the spotlights. Great to hear Ms. Vaccaro talking about her passion for her craft, and her devotion and dedication to play her roles as only she can play them. What does it take to be a good actor or a good actress? Twenty years of work. I learned that as a youngster in New York where I started in the theater where the famous Sanford Meisner said, ‘All of you must realize on this first day, today, that it’s going to take you twenty years to be a great actor.’ And it’s true. As time has gone by, I have discovered that it is the one truth that I really think has come true. As you go along in life, people tell you certain things about this is what will happen or you can expect that. The one thing that rings true to me for the longest period of time, is that that is really the truth: it takes so much time to become in the age of mastery where you really know what you’re doing and your instrument is finally tuned, you are in control of it, no one can rattle it, you can go on stage and master what you are doing. And hopefully you get better as each year goes by. All of us actors pray that each year we’re getting a little bit better. That’s what Jack Lemmon once said, there’s a humility that goes with the business, there’s always things to learn, there are always things to master. But there does come a time where, after twenty years, you go By God, I know it, I know what I’m doing, and I feel comfortable about what I’m doing. But there’s always room to learn. Larry Hagman told me a great story once. He was doing “Nip/Tuck” and he was sitting there like this, with his elbows resting on the table. He was going to open the scene like that. This young director noticed him sitting there while they were lighting and everything, with his elbows on the table, hands cradled around each cheek, drooping slightly, and he said, ‘You know Larry, you can certainly try to do something else with your hands, your face or your elbows.’ Larry later said to me, ‘I didn’t move, I just sat there and looked at him. And finally after a few minutes, I said, No!’ (Laughs). Listen young man, I am 74 years old, I was in this business even before you were born. That was a very good example about the age of mastery, not that you’re not open to some brilliant idea like if Ridley Scott asked you to do something – when they were shooting “Gladiator” , Russell Crowe once asked Ridley Scott, ‘Why don’t we just say’–then he said something in Latin–and Ridley said, ‘Well, what does that mean?’ So he said it in English, and Ridley said, ‘Well, just say that!’ (Laughs). That kind of simplicity, honesty, reality, your heart, your soul, your spirit – everything is in the right place, you’re in a clean, clear space, you can do your work, your ego is in the back row, you’re not insecure anymore. It’s like Matisse: he could draw a woman’s back in one line: that’s how masterful he was. So it takes twenty years to be a fine actor – if you want to be a fine actor. Jack Warden once told me that the stage was his training ground. Do you think young actors today have that same background, since a lot of them start working for television right away? That is possible, but if you ask me if the stage is the place to learn, I think it is. As an actor, you are on your own for the first time as an actor. You own the stage, you own your part, you own the time in which you play your part. The curtain goes up, it’s yours. There’s no better gift than an audience to tell you what you’re doing right and what you’re doing wrong. There is the most gracious give and take with an audience, it teaches you about comedy rhythm and if you move or talk too fast, the audience can’t hear you. You learn to give the proper emotion and amount of information to your audience. The theater teaches you that: working in a play with other actors, and taking the play from the moment it begins till the moment it ends, it’s a great experience for an actor. You have another bag of tricks, but the stage is blessing on an actor’s soul. How do you work when you appear on the set? Do you need a lot of direction? I am always open to good, creative direction and imaginative suggestions. But when an actor is really gifted and he’s really good, I think you have to watch what he’s going to contribute before you presume he’s got to do it your way. When Mike Nichols hired George C. Scott and Maureen Stapleton for Neil Simon’s play ‘Plaza Suite’ [1968-1970], he said that once he had cast them, he just sat in the audience and he watched and wondered. That’s the greatest thing a director can say: actors can bring so much that you never even thought about. It’s their time to be contributive, to be imaginative, to be creative, to find things and then bring them to you. As a director, you have to say then, ‘I like that very much, I never saw the scene that way, that is brilliant. Play it that way.’ You see what I mean? They bring so much; actors can’t close the doors to listening to directors and directors can’t close the doors to taking in what the actors provide. Then it’s a great collaborative without ego effort. Everybody is directed towards the performance and making the play work. Looking back, after you did “Midnight Cowboy”, what would you consider some of the most interesting and challenging parts in the early years of your career? Well, Stanley Kramer gave me Ethel Rosenberg in “Judgment: The Trial of Julius and Ethel Rosenberg” –oh my God–can you imagine? Or “Honor Thy Father” … I loved my work, I loved what I was offered, all the scripts that came my way. Is it still as much of challenge right now, after all these years? Well, I did “Nip/Tuck” with Catherine Deneuve–God bless her–I had the best time ever, and it certainly was a challenge, even though it wasn’t a huge or demanding part. It was still a challenge, to be with her on the set, to know profoundly what I had to do in the scene and do it well. To go in front of a camera, to go in front of an audience, it’s always a challenge and a responsibility because of your sense of making something excellent as profound as it was when you were eighteen and on the stage for the first time. Your Golden Globe, Emmy and Academy Award nomination, if you would get them now, would they be more valuable to you, career wise? No, I don’t think so, but if I would have received the Academy Award [nominated for “Once Is Not Enough” as Best Supporting Actress, 1975] instead of Lee Grant [Academy Award winner that year for “Shampoo”], that would have been very valuable to me at that time–except she is my best friend. She came up to me that night and said, ‘Well honey, I’m older.’ (Laughs). But it would have been great to get the Academy Award, of course. Even though, my dear Julie Christie has said, ‘I don’t want the Award, the work is all that really matters.’ And she’s right, so I can’t argue with her, even though I think an award is like applause and you learn to bow which we do a lot of times as a form of appreciation. So you can’t be all crazy up here about what it means, how it feels, why isn’t it me, all that stuff doesn’t have to do anything with me: it’s the work that’s done and how you feel after the work. Her work was exemplary in “Away From Her” : she was brilliant, she was really brilliant. And she deserved to be appreciated, she deserved an Academy Award [she was nominated], she deserved everything that everybody wanted to give her. She got almost every award for that film [including Golden Globe, BAFTA, Screen Actors Guild Award, New York Film Critics Award and National Society of Film Critics Award], but no Academy Award and we were surprised, but that was all right because Marion Cotillard [for portraying Edith Piaf in Olivier Dahan’s “La môme”] deserved it too. It wasn’t the end of the world. But Julie really didn’t get it until the end of the entire experience, she said to me: ‘I think that I’ve got it all now. You just have to go with the whole thing, don’t you.’ The cloths, the shoes, the makeup, the whole thing, and then you bow. And that’s really what it is, isn’t it, and there’s nothing wrong with it. But she’s such a purist, she doesn’t want to talk about it: just do the work, that’s it and then move on. And sometimes that’s more comfortable for an actor who is busy doing a lot of work and who really cares about the precision and the excellence of his work. The last thing on your mind is: what am I gonna get for this? When I did “The Boynton Beach Bereavement Club” , [director] Susan Seidelman said to me, to procure my attention and my yes to do the movie, ‘I really want you to get an award for this, you know. This is Award-making part.’ I knew it wasn’t, but I didn’t say that (laughs). The point is, you don’t think about that, all you want is the work to be exemplary, you want it to be right on the target. Otherwise, it would be just another corny, lousy performance, and what would an audience get out of that? If you see somebody doing a breathtaking performance, like Daniel Day-Lewis in “My Left Foot”  or Mickey Rourke in “The Wrestler”  – it was all without ego, you could see it, even when he [Rourke] was baking and was doing that awful job. He was just playing the part the best he could and boy, did he do that part! With your background and experience, have you ever thought of directing? When I did “The Mirror Has Two Faces”  with Barbra Streisand, she once asked me, ‘Are you ever going to direct?’ I said, ‘Oh well, I don’t know.’ And she said, ‘Well, you’re bossy enough!’ (Laughs). I have thought about it, somehow I never really approached trying to doing it, I don’t know why. Maybe I was afraid I wasn’t good enough. Lenses, visuals… I just never got there. For the longest time, until recently, when I was teaching, I was really an actor. Maureen Stapleton used to say that to me. I was just an acting fool, give me a play and I’ll do it. Geraldine Page once told me, ‘Brenda, you walk in the streets of New York and someone will give you a play.’ That’s how she got ‘Agnes of God.’ Actors always believe that it’s going to come because they want it so much, their spirit is so implanted like a tree in Israel, it’s there forever. And it’s true, sometimes it does come to you that way. But Geraldine never was a director, Kim Stanley or Maureen Stapleton never directed. Maybe there’s also a kind of humility in not wanting to be boss. I do my thing, that’s who I am, I’m a very organic actress, my feet are firmly planted on the ground, I know what the tools are. You also work a lot with young actors. Since you don’t have the intention of directing right now, what advice would you give? Here’s what I would say: I would study like crazy. When I was young, I would constantly listen and be in classes. All the stories I am telling you, are things I have heard people saying. You know, be in class, watch other people at work, read about it, read plays, do plays, research, do scenes with another actor, be a seeker of knowledge–there’s power in knowledge–the more you know, the finer you will be tuning your instrument. I remember when I was in the Neighborhood Playhouse, when school was over, we’d all go to somebody’s house at night and we’d stay up all night and do improvisations because we were in the midst of learning the technique of Sanford Meisner at the Neighborhood Playhouse School of the Theatre. We would go back and we would say, ‘All right, he is going to try to kill you but you’re not gonna let him, because you have the papers that the spy gave you…’ And then they’d go outside the apartment door, they’d come back in and do the scene. We were young and we were constantly working on it. It makes you brave to study, because once you have all that under your belt, nobody can tell you what to do: you got knowledge. And be in the theater, it embraces you like no other media. Television uses you and throws you out, movies get tired of you when you get a wrinkle. That’s what I would say to young people. Find a great teacher who loves you, who is gracious, who wouldn’t hurt you. If anybody ever says a negative word, get out–you have a tuning fork inside of you and if anybody says bong, it’s going to harm your instrument. That’s not healthy, you have to very careful with that instrument. When Frank Lloyd Wright was young, he said something wise about arrogance and humility: ‘I had the choice to be one or the other, and I chose arrogance, but with great humility.’ (Laughs). After all those years in the business, do you still have to prove yourself? No, not really, not like in the old days. If you say my name, people will know who I am and what I do. Maybe they’re uninspired about the range that I have. In this age range, it’s like a bunch of Italian widows sitting in chairs in a room. If someone says, ‘There’s a job here,’ then four thousand widows get up and run towards that job. So that’s what my life is now. Would I love to work? Yes! If it comes, that’s fine. If it doesn’t, I’m marching on. I understand that, that happens to me too: if Susan Sarandon or Kathy Bates are available, I don’t get the part. Everything is relative. There’s a time and a place, and a time and a space for everything. If it comes my way, I will take it, like when I did “Nip/Tuck”. 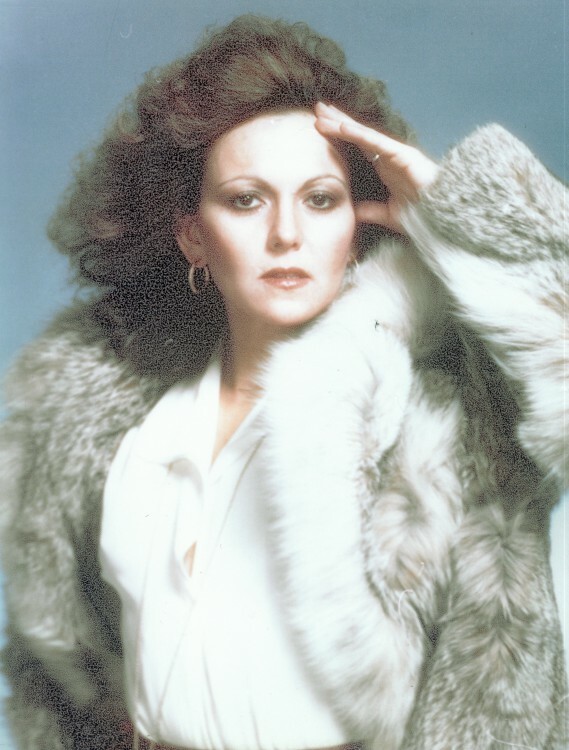 Brian Murphy heard my name in a casting session, and he said, ‘Give her an offer.’ So I came on the set, on the second day, I see this man coming down the hallway, ‘Brenda Vaccaro, I am Brian Murphy, the producer. I am so happy you’re doing this show! Do you remember that scene in “Once Is Not Enough” with you the white shirt, you’re sitting on the steps’ and I looked at him and asked him, ‘How old are you?’ (Laughs.) He said, ‘You were always such a brilliant actress, I just love you! I’m so glad you’re here on our show!’ And I thought, ‘Well, this is worth the wait.’ How great it was to give me that welcome, to let me know that. When those things happen, they’re joyous, and it’s great. If it doesn’t happen, you go on your way. I can’t sit around and wait. We’re cast less as we get older, this is true, or it goes to other people. But when the part comes to you, you know that no one can do it but you. Posted in Actress, Film Talk and tagged Academy Award, Barbra Streisand, Brenda Vaccaro, Brian Murply, Catherine Deneuve, Cybill Shepherd, Daniel-Day Lewis, Deborah Raffin, Edith Piaf, Emmy, Ethel Rosenberg, Frank Lloyd Wright, Gena Rowlands, George C. Scott, Geraldine Page, Gladiator, Golden Globe, Goldie Hawn, Honor Thy Father, Jack Warden, Jane Greer, Jennifer O'Neill, John Schlesinger, Judgment: The Trial of Julius and Ethel Rosenberg, Julie Christie, Karen Black, Katharine Ross, Kathy Bates, Kim Stanley, Larry Hagman, Lauren Bacall, Lee Grant, Leigh Taylor-Young, Marion Cotillard, Maureen Stapleton, Mickey Rourke, Midnight Cowboy, Mike Nichols, My Left Foot, Neil Simon, Nip/Tuck, Once Is Not Enough, Plaza Suite, Ridley Scott, Russell Crowe, Sally Kellermen, Sandy Dennis, Sanford Meisner, Search for Tomorrow, Shampoo, Stanley Kramer, Susan Sarandon, Susan Seidelman, The Boynton Beach Bereavement Club, The Mirror Has Two Faces, The Wrestler, Tony Award, Valerie Perrine. Bookmark the permalink.